If you’ve been reading about tech on the internet in the past month you’ve probably not been able to avoid the hype, pre-hype, and pre-pre-pre-hype about Apple’s supposedly impending Tablet device. 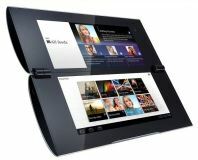 Allegedy – perhaps – and quite possibly – sporting a 10in touchscreen, looking like an iPhone on steroids, and coming to steal away your wife, existing business model and everything you thought you knew, the Tablet may well be announced next Wednesday at an Apple gathering in San Francisco. It’s not just us feeble mortals who are anticipating the Tablet though; Apple’s impending announcement seems to have Amazon rattled, as the company has announced a slew of new initiatives for its Kindle eBook reader. Many of its new ideas seem to be directly anticipating an Apple device that can display books and magazines. 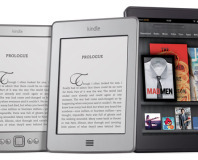 First up, Amazon has decided to offer some book lovers a free Kindle. According to comments on TechCrunch, Amazon is emailing certain customers asking them to try the Kindle – and if it’s not to their liking, they can get their money back, but keep the device. Then there’s Amazon’s decision to make the Kindle a better deal for authors and publishers. Amazon’s pricing for books and media on the Kindle has long been controversial, with publishers unhappy at the retailer’s attempt to impose a flat $9.99 fee for books, while taking 65 per cent of the cash – only sending 35 per cent to the author and publisher. Apple’s App Store offers coders 70 per cent of the revenue, with Apple taking a 30 per cent cut – precisely the same deal Amazon itself is now offering on the Kindle. We recently reviewed the Kindle, and while we liked the device, its use of a proprietary file format and rather limited concessions to the UK market meant we didn't recommend it. 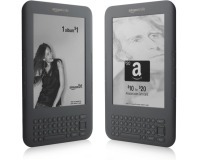 Will Amazon’s initiatives help the Kindle, or will it be destroyed by a forthcoming iWonder from Apple? Let us know your thoughts in the forums.